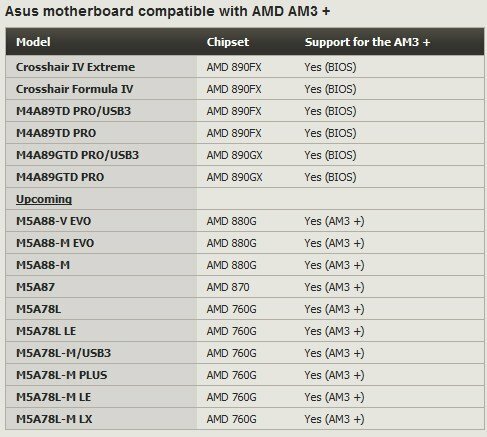 Leaked information reveals five of ASUS' motherboards will receive AM3+ support via BIOS update. This includes the Crosshair IV Extreme, Crosshair Formula IV, M4A89TD PRO/USB3, M4A89TD RO, M4A89GTD PRO/USB3 and the M4A89GTD PRO. The list also reveals the names of upcoming budget M5A series motherboards with AM3+ support.